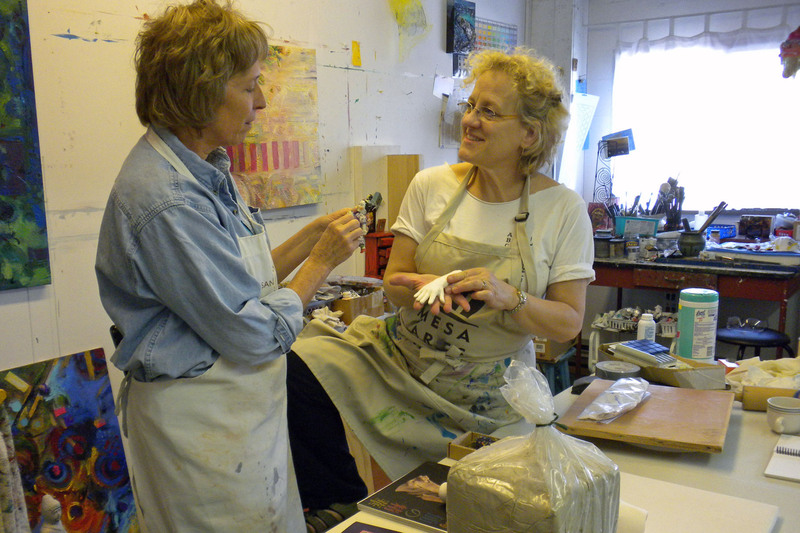 This is where Jane Kelsey-Mapel and Becky Frehse share their thoughts and studio processes as they collaborate on new work together. Can’t wait to see the progression of the collaboration! Hi! This is Shirley Kelsey Adams’s daughter, Regina. Mom mentioned I should check in and see your art. Very creative work! Glad you have the blog, so I can follow what all you are doing. Wish you luck at your Seattle show. Hope it is a good one! Been working on a painting of Mom and Dad and also painting some saws of my Dad’s home place for my sisters and brother. Love to Aunt Marilee and family. P.S. You can follow my art work websites through http://www.regina-brandt.fineartamerica.com, http://www.redbubble.com, and essential oil company at http://www.ascentsworth.com. Thanks for your comment. The show in Seattle is up and we are very happy with it! I’m finally updating the blog, so more soon. Glad your show in Seattle went great for you! We’ve all been getting ready to perform for a church benefit at the end of the month, and Mom has been organizing it all. Hoping we can get plenty of donations to help in the repairs of the Church. Glad to finally have found your blog Becky and Jane, I’ll be following your ride together from here on. I’m taking my iPad, camera nd video camera in hopes of blogging everyday while I’m on this trip.